In my opinion, one of the most neglected inventors of all time. The names Edison and Marconi come to mind as familiar, but Tesla? Most think of a car. Few know that Tesla is responsible for alternating current, florescent lights, radar, remote control, generators that preform efficiently, the spark plug, and many others. The U.S Supreme Court declared in 1943 that Tesla, not Marconi, was the true inventor of the radio. Born on 10 July 1856 in the village of Smiljan, Austrian Empire near the town of Gospic, in the territory of modern-day Croatia. He had one brother, who died in a horse riding accident when Nikola was five, and three sisters. He attended school at Higher Real Gymnasium in Karlovac, and later studied at the Austrian Polytechnic in Graz. 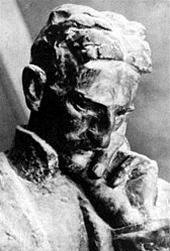 While there, Nikola studied the uses of alternating current, and some say he received Baccalaureate degrees. During December 1878, Tesla abandoned all his relationships and left Graz to work as an assistant engineer in Marburg, today's Maribor in Slovenia. During his time there, he had a nervous breakdown and was convinced by his father to attend the Charles-Ferdinand University in Prague, for the summer term of 1880. One of his greatest inventions, and to much debate, the radio. The average person, when asked "Who invented the radio?" will reply with "Marconi". This is most certainly incorrect, according to U.S Supreme Court in 1943. Granted, many inventors contributed to the discovery of wireless communication, however, Nikola was first to conceptualize and create it as a physical device. For those who are unfamiliar with the term "Alternating Current", it is simply a term for switching polarities of an electrical current. For explanation's sake, imagine the positive "side" of an electrical current is represented by red, and the ground (negative) by blue. Alternating current would be visualized as a fast alternation between blue and red. Direct Current (the rival of AC) would be visualized as simply blue and red, with no change in alternation. This is typically considered "Current Direction"; DC travels forward, AC changes directions typically 50 to 60 times per second. 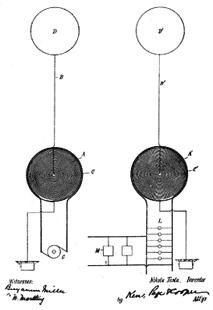 Tesla developed a complicated layout of generators, motors and transformers, and held 40 basic U.S patents on his polyphase system. George Westinghouse, an industrialist and inventor, showed the most interest in Tesla's AC system. 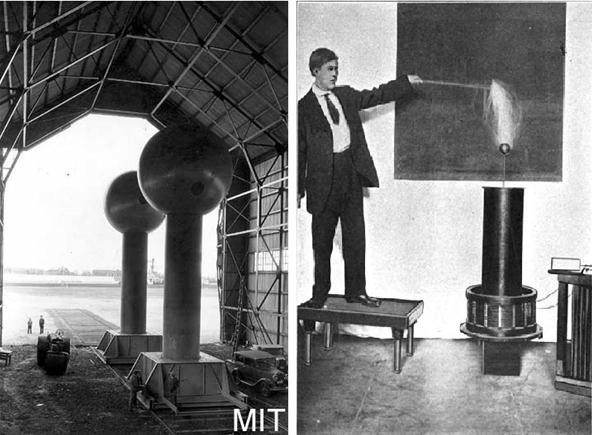 He visited Tesla's laboratory and was amazed by Nikola's work with a model polyphase system. 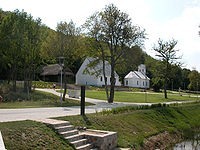 A relationship formed between Tesla and Westinghouse, and also the fate of nationwide use of AC electricity in America. In 1883, Tesla addmitedly offended Dr. John Trump, a professor at M.I.T. with his review and critique of the Van De Graaf generator, and its two thirty-foot towers and two 15-foot-diameter (4.6 m) balls. 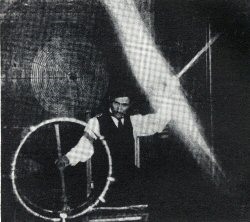 Tesla demonstrated that he could out-preform the generator in both voltage and current with one of his tiny Tesla Coils, which was about two feet tall. Tesla died on 7 January 1943 at age 86 from heart thrombus, in the New Yorker Hotel. A few days after his death, the information center of the Yugoslav Government released a statement review and list of achievements, as well as a schedule for his memorial service and funeral. All Tesla's papers and transcripts were declared Top Secret, and seized by the U.S government. The Yugoslav embassy struggled with the American authorities to gain possession of these items, and eventually won. They are now housed in the Nikola Tesla Museum. I had no idea he invented the radio. Interesting write up, thanks. thank you! yeah, Tesla was one of the greatest inventors of all time. i love the guy! He was so eccentric. It goes to show, the marketers and business men (like Edison and Marconi) get notoriety and money, and the crazy, high strung inventors like tesla, change the world in the background. With all the marvel behind alternating current, it's hard to believe that Edison was trying to sabotage it with the electric chair, showing how "dangerous" it was compared to direct current. Exactly, he was trying to promote a power station every two miles! DC couldn't travel very far without losing current and voltage. AC is much more applicable for long distance travel. You're right Chris,when you tell that he is so eccentric,but you're wrong about his show,marketers and business!He died like a poor and virtuous man who are deceived from many investors.His only goal is to give a world easy and equitable future.I'm proud on him because hi is Ortodox and hi is Serbian like me. im a little confused at what im wrong about, I totally agree what your saying, he wanted to change the world, but was constantly screwed over by investors and their "amarican humour" (in the words of Edison). Very interesting post, Chris, and of course Tesla was a most intriguing scientist. My understanding (perhaps incorrect) was that Tesla's papers went missing for a bit, and I'm wondering if, as you report, all his papers have actually been recovered and are at the official museum. I'm not much of a conspiracy theorist, but I could see why, perhaps, some of his work has been confiscated/not disclosed. Am I correct that you see something of Tesla in yourself? i totally agree that much of tesla's work is still held somewhere, because of it's threat to international security. Tesla invented numerous weapons that had quite a bit of potential to work. I heard a rumour that some of the US weaponry developed in the last 50 years were based on some of his patents. I suppose one could logically extrapolate from whatever work of Tesla's is public, but then of course one would have to be able to follow Tesla's thought processes. Given what I'm told of Tesla's personality and skills, this might be quite impossible.